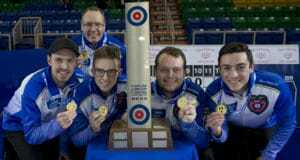 PRINCE ALBERT, SASK. 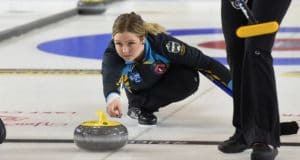 — For most of the week, Saskatchewan’s Sara England has been focussed on the task at hand; calling a strategically-sound game and making her shots. 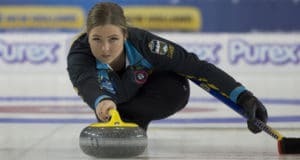 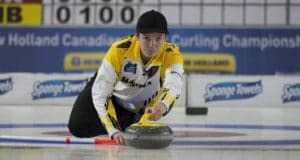 But on Wednesday night at the New Holland Canadian Juniors in Prince Albert, Sask., the hometown skip opened her ears and embraced the noise of the crowd. 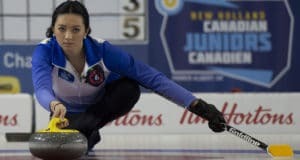 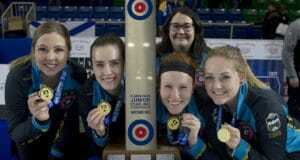 It paid off, as she and her Callie Curling Club-based team from Regina defeated the defending world champion. 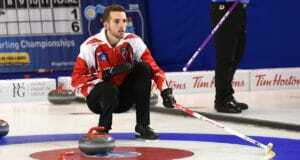 PRINCE ALBERT, SASK. 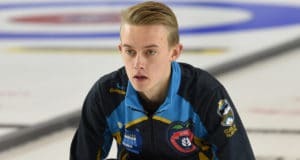 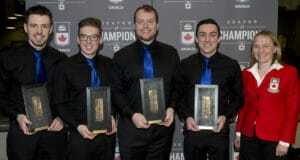 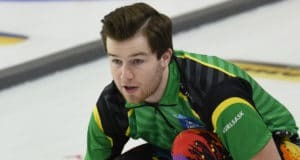 — Though Rylan Kleiter’s team, representing Saskatchewan, is deep into the competition at the 2019 New Holland Canadian Juniors, the four men keep everything in perspective. 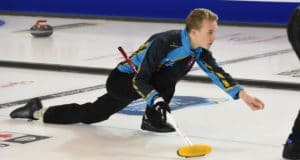 The tiebreaker between Alberta’s Desmond Young and Ontario’s Sam Steep at the 2019 New Holland Canadian Juniors had it all – circus shots, nerves, and, in the end, celebration by the Albertans. 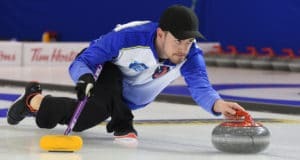 Young, along with third Dustin Mikush, second Jacob Libbus, lead Gabriel Dyck and coach Bernie Panich, punched their ticket to the championship round with a 5-4 win over Ontario.